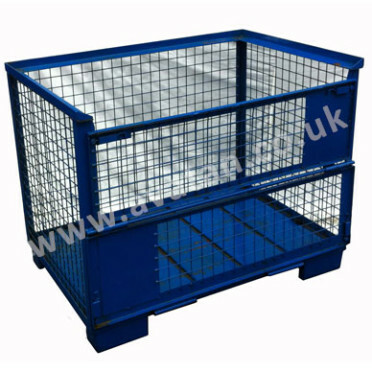 Four sided nestable ‘A’ frame roll container of tubular construction with rod infill in back, sides and hinging gate. 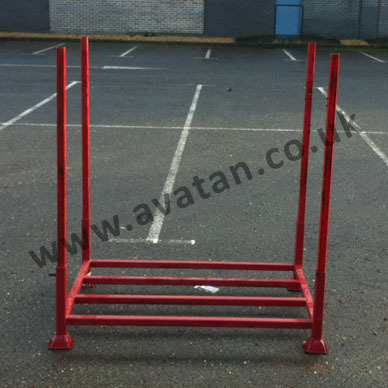 Mounted on 2 fixed and 2 swivel 125mm diameter castors. 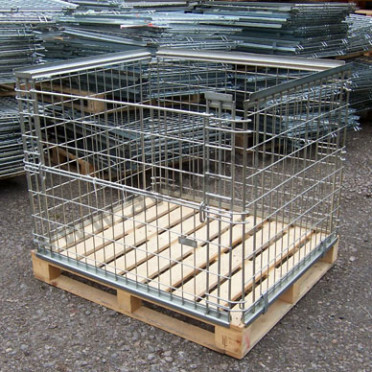 Roll cages in good, clean, fully serviceable used condition. 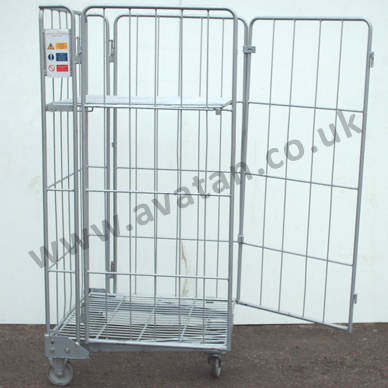 Available with and without integral hinged shelf. 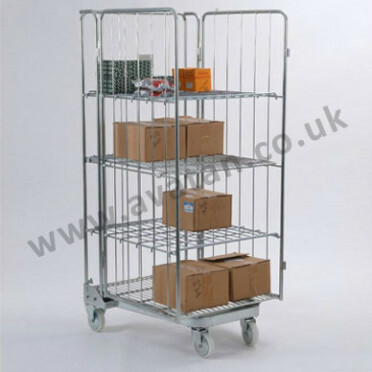 Roll pallets are also available with mesh sides. 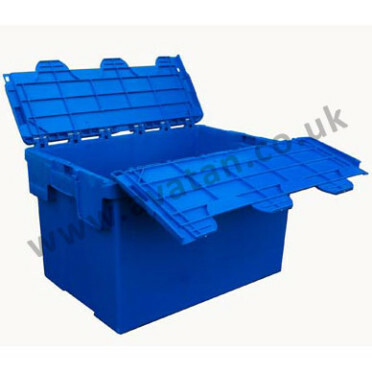 Used roll container dimensions and styles vary.